There are some very interesting and emerging trends regarding insurance fraud. Sadly, the resources to address these problems are not commensurate with the need to combat fraud in the most effective manner. 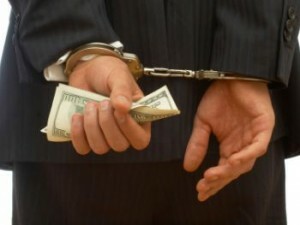 State and local government budgets have been reduced greatly, which often puts white-collar criminal investigation as the “luxury item” category in a law enforcement agency’s budget. As a result, insurance fraud is increasing throughout the United States. For instance, in 2009, a study conducted by the Insurance Information Institute revealed that fraud accounts for 10 percent of the industry’s incurred losses and loss adjustments expenses every year, which translates to $30 billion involuntarily transferred to criminals every 12 months. In addition, the current problems in New York and Florida (No Fault and Personal Injury Protection), and an increase of questionable claims by 24 percent from 2008 (as reported in the Insurance Crime Bureau’s 2010 report) illustrates how much fraud is on the rise. Simply stated, insurance fraud is not a victimless crime — every consumer pays, and pays more, because of fraud. Organized fraud groups, and the people who facilitate the frauds (lawyers, health care providers, office administrators, etc. ), grow more sophisticated every day designing and carrying out their fraud schemes — from who to bring into their enterprise to what insurance companies to prey on. Insurance companies not committed to identifying suspected fraudulent claims compound the problem. The stakeholders in this problem need to start thinking more creatively about ways to systemically reduce fraud. This is not an easy problem to fix, but if our government and industry leaders follow the “Rule of Three” for creative problem solving, amazing things can happen. So, how does this model work for insurance companies and law enforcement agencies to reduce insurance fraud? The critical force multipliers in this model are relations and collaboration. When these two are combined with the three steps, all weaknesses identified in strategic planning are mitigated, and the resulting plan is strengthened to a point where its implementation will actually achieve intended goals. How can you inspire your team to think differently about this problem? What are the first steps that need to be taken to affect positive change? The first step is to assemble a group of stakeholders and key members of your team together to discuss this issue, and identify the strengths and weaknesses of your business process. Is your staff properly trained to handle fraud? If not, you need to immediately start a continuous training program to educate them about fraud, how to identify it, and what to do with a questionable claim (a great place to start is to follow your Department of Insurance guidelines and reporting requirements). I am always amazed on the consultations that I perform for fraud and bad-faith actions where the communication breaks down between the claims personnel and the Special Investigations Unit investigators. The lack of an internal policy, compounded by inconsistent, or absence, of training are the common denominators of when claim investigations go wrong. What about technology? The Information-Technology Revolution is over, as far as competing in today’s market place. If your company is not utilizing analytics in the business practice, you are destined to lose the race against your competitors who are operating with basic and advanced analytics. This requires a hard look at your current information technology platform, and the courage to move forward by bringing in cutting edge solutions. The initial cost of an advanced analytics solution will usually give a great return on the investment (ROI) if it is constructed properly with the right data. Think of the “Three Rs:” The Right Data, To the Right People, at the Right Time. Analytics will increase your success rate in curtailing fraudulent claims. When the communication and collaboration among the stakeholders in an anti-fraud program erode, bad things will happen. All of us have critical roles in the fight against insurance fraud. We need to change our thinking and strategic vision on this issue if we really want to reduce fraud, which affects all of us — the consumer.